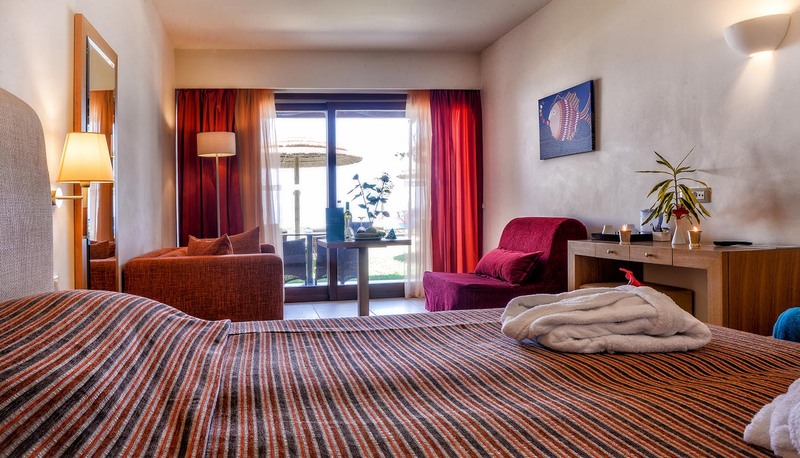 SENTIDO Blue Sea Beach features 266 spacious rooms with views to the sea, the pool or the beautiful garden. Designed to inspire rest and relaxation, modernly decorated with peaceful colour tones our rooms create a feeling of relaxed luxury. Comfy and spacious with an amazing view at the majestic sea of Stalida or at the beautiful gardens with a furnished balcony or veranda. 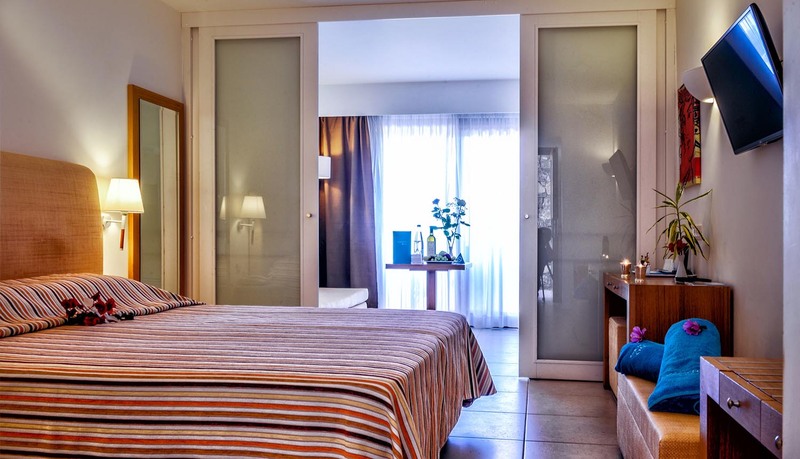 Guest rooms are harmoniously combined with the green environment of the hotel with a magnificent view to the deep blue sea of Crete. The room consists of a double bed or two singles (on request) and a comfy sofa bed. 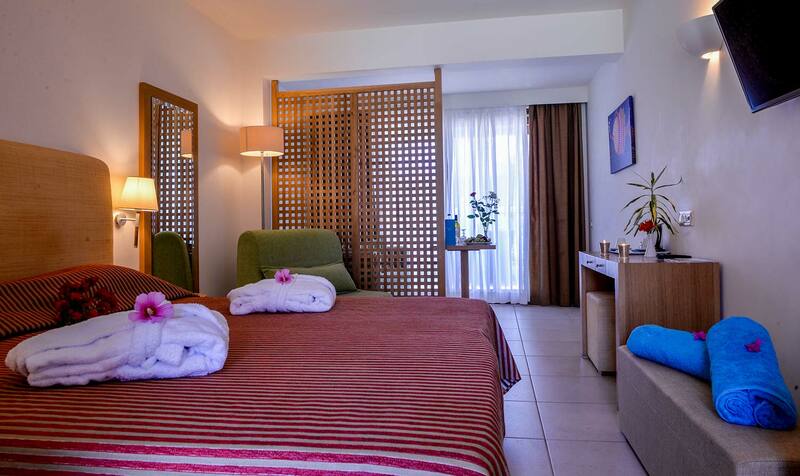 Spacious rooms with modern decoration and designer furnishing that are harmoniously combined with the green environment of the SENTIDO Blue Sea Beach, enjoy a relaxing stay inside the green exotic gardens of our hotel. The Private pool Junior Suites are the ideal shelter for unique moments, offering private garden and swimming pool in their exterior area, under the shade of the gardens and next to the scent of the breeze of the Cretan sea. Those junior suites are nestled in the hotel’s gardens, fully and luxuriously furnished with modern amenities to enhance your comfort and relaxation. 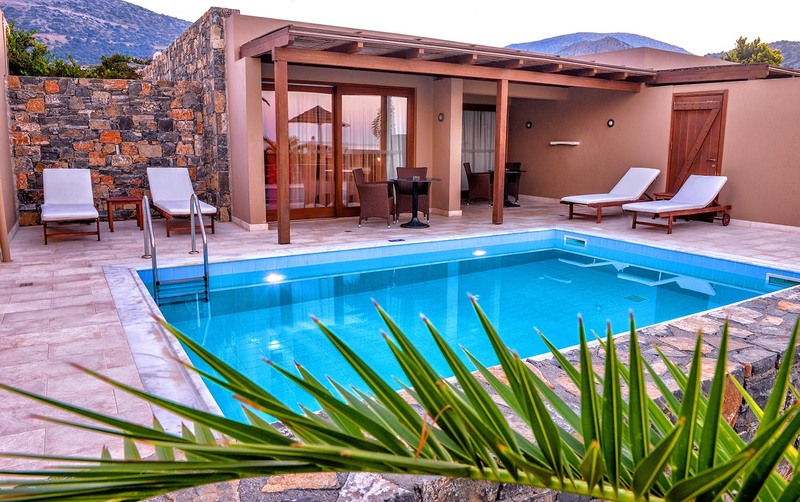 Besides they are open out onto a spacious terrace, just in front of the private pool, perfect for a lounging day or night. Ideal for families as they can accommodate up to 4 people. These rooms are provided with the most modern facilities and decoration as well as elegant furniture that underline the feeling of luxury and comfort. They consist of one room and sitting area separated by an internal door or sliding door. The rooms offer privacy and spectacular views from the furnished balcony or veranda. Spacious bungalows with modern decoration and designer furnishing that are harmoniously combined with the green environment of the SENTIDO Blue Sea Beach. The significant advantage is the outstanding views, either at the pool front or the sea, from the furnished balcony or veranda.